Internal linking is the process of adding links from your content (like blog posts and pages) to other content on your website or domain. On the contrary, external linking is adding links to contents OUTSIDE of your domain. For example, whenever I mention digital marketing on its own, I link to this page ???? That is an example of internal linking. I link to other content on my website. In cases where I don’t have content about a specific topic and used it in my blog post, I use a link from other websites. Here’s an example for external linking. 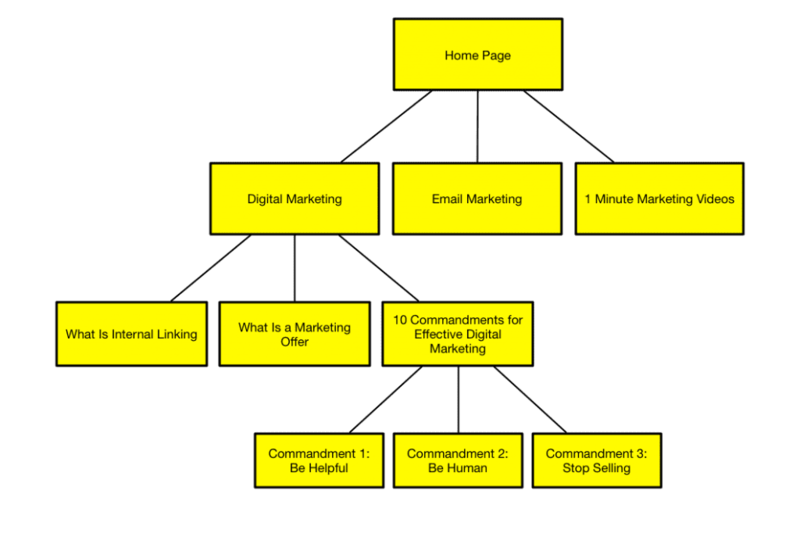 Other marketers refer to this as the content pillar or content pyramid or cornerstone content. Whatever name you call it, the point is to have a single piece of content sitting at the top of your pyramid, then have another content link to it. What this does is sends a signal to search engines that the “most linked” content is the most important one. Having a proper internal linking strategy is important if you want to succeed in ranking your pages properly. For example, in my site, you will find this in action. I want to tell Google that my page for Digital Marketing is the most important one. So, I link back to it from this article (among others). I want to tell Google that my page for Digital Marketing is the most important one. So, I link back to it from this article (among others). The other benefit of a proper internal linking strategy is you can focus on creating content about a single topic, instead of rambling on and on about other topics. To write a “complete” article, sometimes it’s impossible not to explain some concepts or terms. Just like what I did in the previous paragraph — I linked the word “content” to my previous article called “What Is Content” so that I don’t have to discuss what I mean by content. Because these side comments oftentimes make your content longer than is necessary. With attention spans growing smaller, it’s already hard to keep your audience engaged. Adding more to what is necessary will bore your audience. With internal linking, you can just use the concept and add a link to it, instead of explaining it in 5 paragraphs. With a proper use of internal linking, you are giving your audience a better user experience. They can read about other topics related to the post directly. They don’t have to open up a new browser, type in the concept you’re talking about, and search through the millions of search results. All they have to do is click on that link and read it. Keeping your viewers on your site for as long as possible is one of the proxies marketers use to determine engagement. Time spent on the site and pages visited are the metrics you need to keep an eye out for in Google Analytics. This is especially true if you are using that as one of the goals for your website. But the benefits don’t just end there. If people spend more time on your site browsing your other pages, you have more chances of converting them. If you are following best practices and have calls-to-action all over your site, you should start seeing an increase in your leads and, eventually, customers. Now you know the benefits of internal linking, it’s time to assess your own website. Determine the pages you want to “rank” for which keywords. Then, create your own content pyramid with those pages at the top. Meaning, link your articles back to those top-level pages. This will give you a boost in your SEO rankings and a more focused content. Who knows, if you’re using a proper lead generation strategy on top of internal linking, you might see a significant increase in your leads and customers.